Special Guests Joining Our Minecraft Day in EDCI 336! The young mentors were so pumped up about the experience and having their passion and experience being recognized. One thing I would have changed is that there were only two young learners to a class of approximately 30 adults, so when someone got stuck, didn’t know how to break a block, etc., they were run off their feet. I also want to expand this so more young learners can share in this positive experience. This year, I have 34 in the class and I will be bringing in a maximum of 15 young mentors. I have my list, but I would love it if you could reconfirm your attendance by emailing edci336 at uvic dot ca – if you haven’t contacted me yet and are interested, you can still email me but please put “wait list” in the subject line. I might put together some other events. Time: 12:30-2:30 structured and 2:30-3:20 exploration and sharing time. Should any learners have after-school activities to go to, they are welcome to head out as needed. Note: the TIE lab adjacent in room A210 will be open for students who wish to bring their own laptops to show and share their own personal Minecraft worlds in a 1-1 or small group manner. Wifi access will be provided as well. Parents, guardians, and teachers bringing the mentors: There is the TIE lab next door for you to wait or play minecraft yourself if you bring your own laptop. Also, there is a cafeteria on the main floor of MacLaurin should you wish to wait or grab a bite or a drink. Should you plan to leave, be sure to connect with me personally to do a sign in/out process. 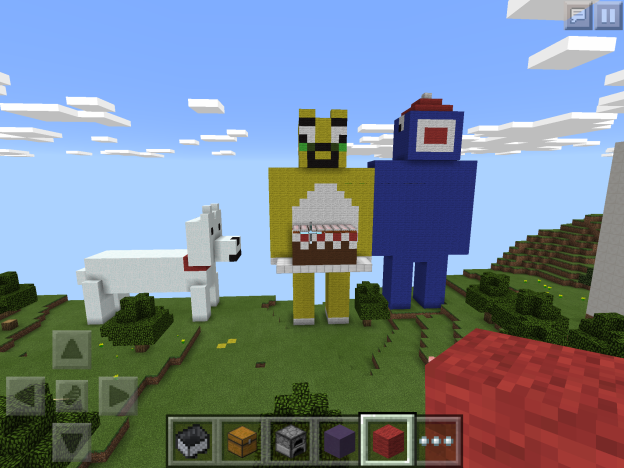 This entry was posted in Community In/Outreach, Events, Teaching, Uncategorized, Undergraduate Courses and tagged EDCI 336, Minecraft, Preservice Teacher Education, School-University Collaboration, Young Mentors on November 13, 2015 by Valerie Irvine.